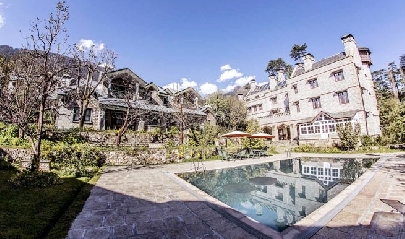 A perfect retreat for discerning travelers, the Himalayan Spa resort in the North Western Indian Himalayas, is a rhetoric of grandeur and elegance. 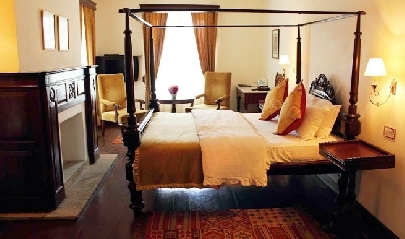 The premium luxury resort demonstrates Victorian Gothic style of architecture in its structure and is settled at an altitude of 2003 meters in the Kullu region of Himachal Pradesh. 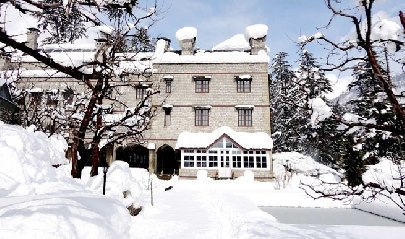 Overlooking majestic snow-capped mountains, the resort is located within the surroundings of cherry and apple orchards. 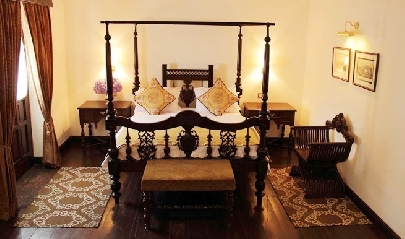 This lovely and serene natural ambience teamed up with world class accommodations designed as ‘Castle and cottages’, makes living here a unique bliss. Plus the supreme luxury in the hospitality makes sure that it stands up to all requirements of a perfect Himalayan holiday. 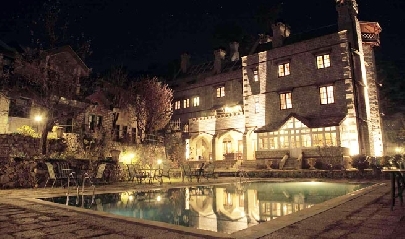 In a collective of 24 rooms, accommodation at the Himalayan Spa Resort boasts of cottage and castle architecture.The former (16 bedrooms) has classical architectural exterior detailing like Tuscan columns, Ariel windows and cavetta window sills, which in turn brilliantly complement the castle image of the resort. Besides amazing exteriors, the cottages speak highly of modern amenities and the fragile environ surrounding it. The later one has 8 bedrooms assigned for it. Guests at the Himalayan Spa Resort are offered the luxury of gorging on some of the best cuisines from around the world. 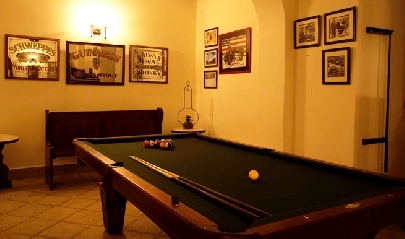 The resort has an in-house restaurant facility which is actually of multi-cuisine nature. Besides dining at this joint, guests can relish the meals in their rooms as well. 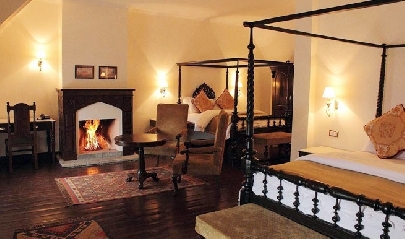 The in-house bar of the Himalayan Spa Resort serves exotic wines and drinks, which one can savor after a nice hot meal or while killing the evening blues. Extra beds are dependent on the room which one chooses. Free accommodation for infant (0-1 years), if using existing bedding. Children (2-5 years) can stay for free, if using existing bedding.